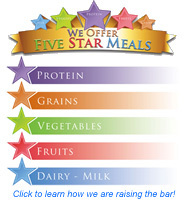 Apply for Meal Benefits Online by clicking the link above! We have have added a few new menu items and kept your kid 's favorites. Hope you make the most of School Breakfast and Lunch this year! Bon Appetite! Don't forget to follow your cclunchlady on twitter! Prepayments can be made online using e-funds. When setting up your account be advised you will need to know your student's 9-digit student ID number, this can be found on your registration information. If you need help please feel free to contact us at (310) 842-4200 ext. 3310 and we will be happy to help you. You can also deposit funds at your school site in the form of CASH or check made payable to "CCUSD". IMPORTANT! When depositing funds please be sure to place funds in an envelope and write your student's name and PIN number on the front of the envelope in order to insure funds are deposited to the correct student account. Food Service and it's employees will not be responsible for funds place in an envelope that does not have this information. It is also helpful if you include your students name and/or PIN in the left hand memo section of your check. CURRENT MEDICAL STATEMENTS MUST BE SIGNED BY A LICENSED PHYSICIAN AND SUBMITTED TO THE FOOD SERVICE OFFICE ANNUALLY. FOR YOUR CONVENIENCE YOU WILL FIND THIS STATEMENT LOCATED BELOW @ PROGRAM INFORMATION BUTTON. Good nutrition and learning go hand in hand. The Food Services department is made up of a team of food and nutrition professionals that are dedicated to students' health, well being and their ability to learn. We support learning by promoting healthy habits for lifelong nutrition and fitness practices. 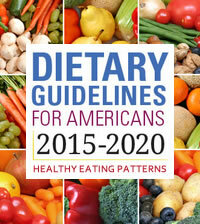 Food and beverages sold or served at school meet the nutrition recommendations of the U.S. Dietary Guidelines. We provide students with access to a diverse selection of affordable and appealing foods that meet the health and nutrition needs of students. HHFKA & SMART SNACK! What do these mean? 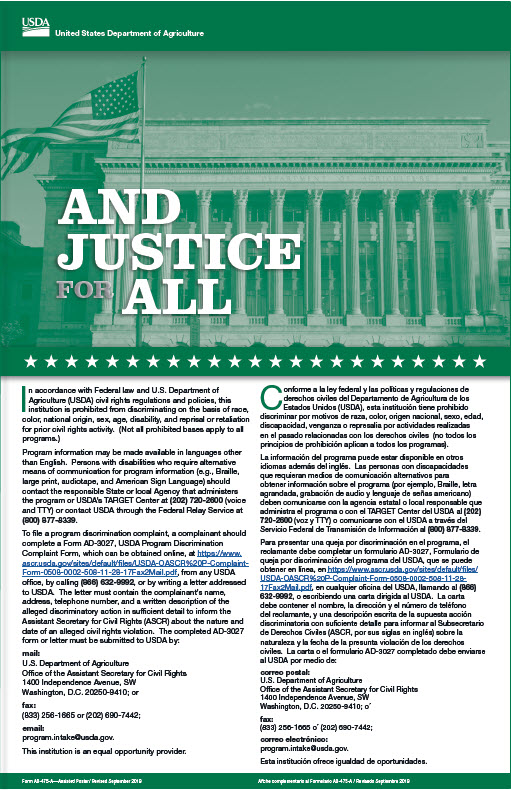 Well, HHFKA aka the Healthy Hunger Free Kids Act of 2010, or HHFKA for short, outlines all rules and regulations we must follow within the guidelines of both the National School Lunch Program and the School Breakfast Program. We continue to offer ALL whole grain and whole grain rich bread and breaded items; sodium levels in all meals have been reduced for both breakfast and lunch by grade level; less sugar and even more fresh fruit and vegetable options will be offered. Every student, regardless of age or grade is required to take no less than ½ cup fruit and/or vegetables daily at both Breakfast and Lunch. Again, please make sure to submit a 2018-2019 Free and Reduced-price Meal Application as soon as possible in order to continue receiving benefits or to qualify for benefits as quickly as possible. Please note that all students who qualified for free or reduced-priced meals in June 2018 will continue receiving benefits, temporarily, through October 8, 2018 or until such time as a current application is accepted and processed. All charges placed on any account prior to an application being approved will remain on the account. All Parents/Guardians will be held responsible to pay any and all negative balances in full. If an application is submitted and approved after the expiration date of October 8, 2018 all charges will remain on the account until paid in full. Students without an approved application on file as of Breakfast service on Monday, October 8, 2018 will be charged the appropriate full price. You will find applications in your school's front office, cafeteria and the Food Service office, and on-line. 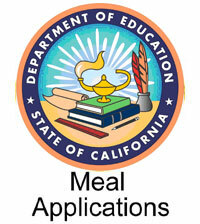 Please go to our Meals Applications tab for additional information. 1. Will my child be fed even if he does not have money? Yes, all children will be fed and no alternative meal will be substituted regardless if the child has lunch money that day. 2. Will I be notified if my child has a low or negative lunch fund balance? Yes. 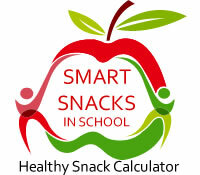 you will receive weekly phone calls if child has a low lunch balance, under $5.00 or a negative balance ($0.01). Please do not ignore these phone calls as they cannot be stopped until more money has been placed on the account or the account has been brought to zero ($0.00). 3. Can I close my child's meal account? No. As long as your child is enrolled in CCUSD they will have a meal account, even if they do not eat in the cafeteria. 5. What if my child is allergic to soy, wheat, etc.? Again, if your child has any food allergies you need to submit a signed doctors note to the Food Service office. We do not share medical information with the school nurses and therefore a separate note MUST be submitted to the Food Service office so that your child's account can be noted with specific allergies. 6. Do I need to submit a new Free and Reduce-Price Meals application every year? Yes. If you believe you qualify for benefits again this year and in order to receive uninterrupted benefits if qualified, please be sure to submit your 2018-19 meal application BEFORE October 8, 2018. Any student receiving Free or Reduce-Price benefits last school year and does not have a current school year application on file on October 8, will be charged full price for breakfast and lunch. Any charges placed on the account will not be reversed.